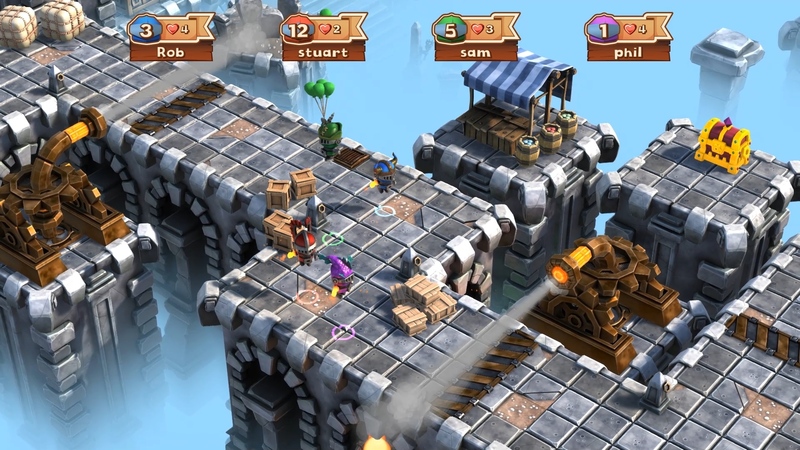 • Pick Up and Play Combat: Big Crown Showdown is an accessible and enjoyable experience for players of all ages and skill levels. 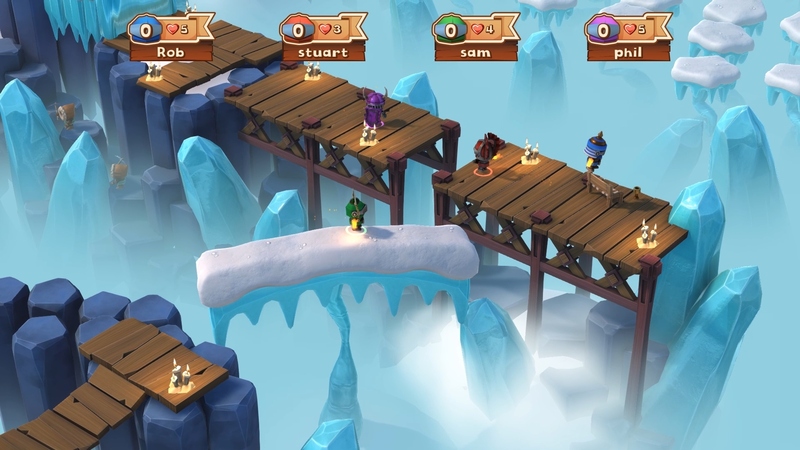 • Non-Stop Camera: Big Crown Showdown uses a camera system that moves along the track in a constant motion, forcing players to keep moving forward into new challenges. 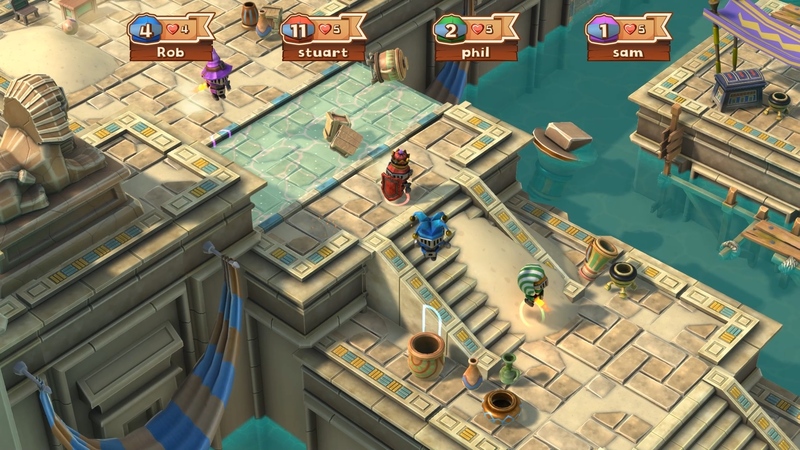 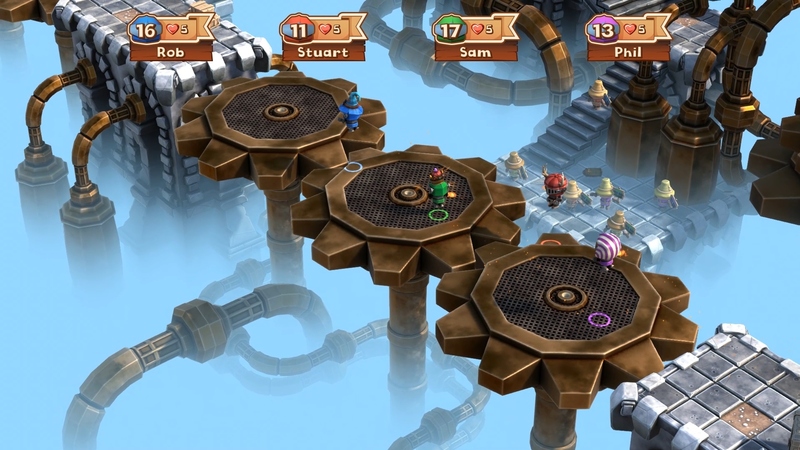 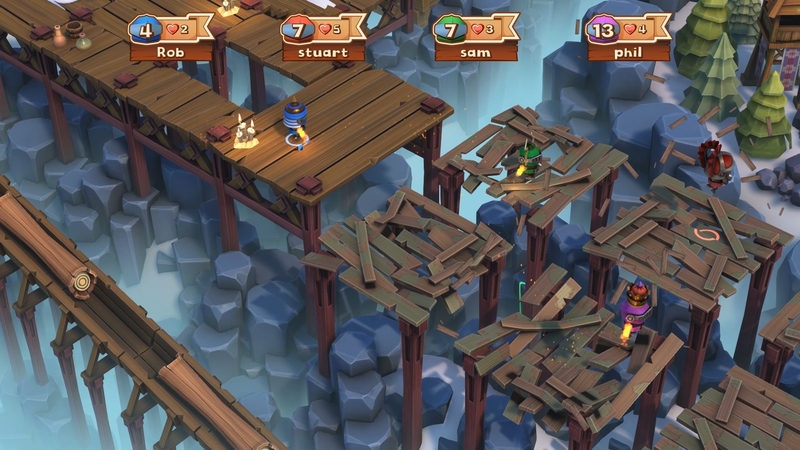 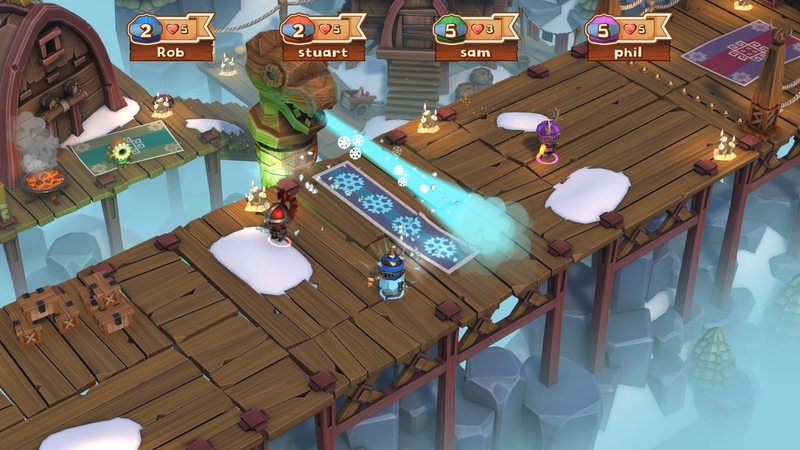 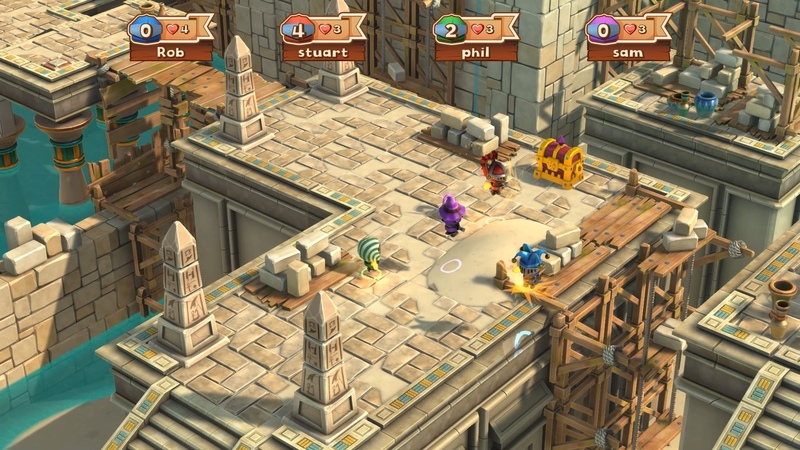 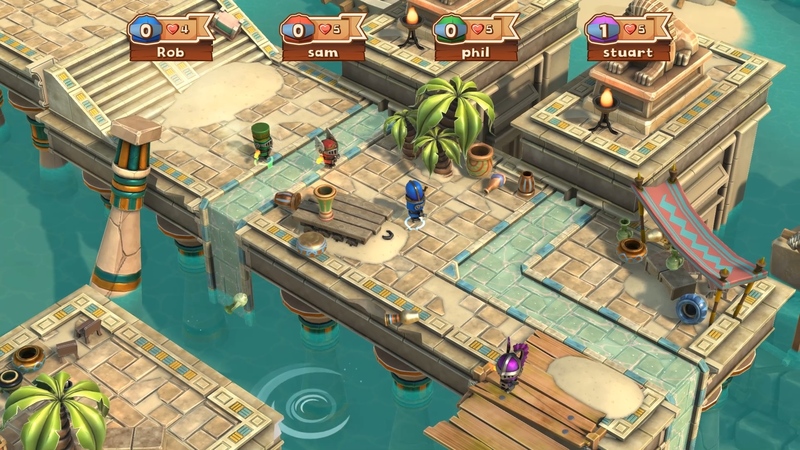 • Classic Platforming: It’s not all about combat in Big Crown Showdown. 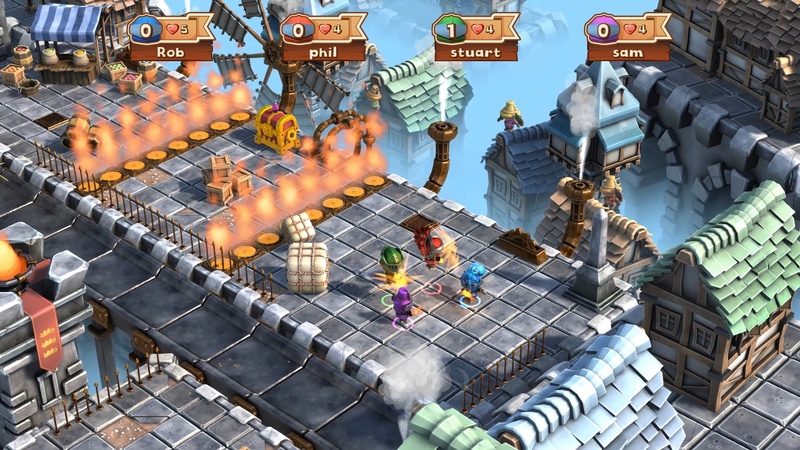 The game blends chaotic combat with sections of tricky platforming, challenging players to move fast and react quickly.